Handwriting is a complex process that involves multiple systems in the body to coordinate: visual-motor, fine-motor dexterity, kinesthetic awareness, shoulder stability, postural stability for sitting and hand strength. For children who have poor hand strength, hand exercises might help. Improving hand strength can help improve handwriting and other fine-motor functions in children. Hand-strengthening exercises concentrate on a child's grip strength and pinch strength for functional activities. 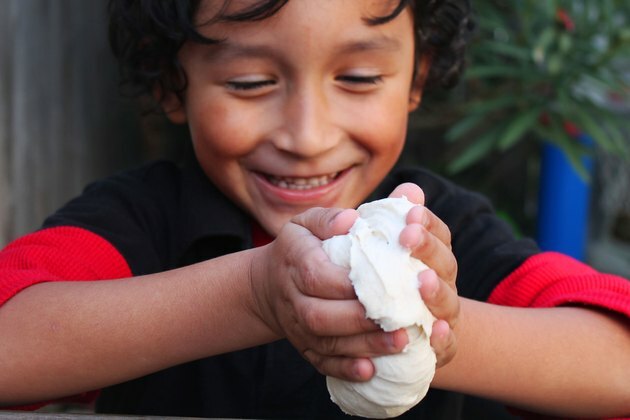 Squeezing, kneading and pulling theraputty or modeling clay helps strengthen children's hands. To make it more interesting, hiding beads or small coins in putty or clay gives kids the opportunity to use hand and finger muscles to find the hidden objects and to put them back. Use more-resistive putty as the child's hands get stronger. 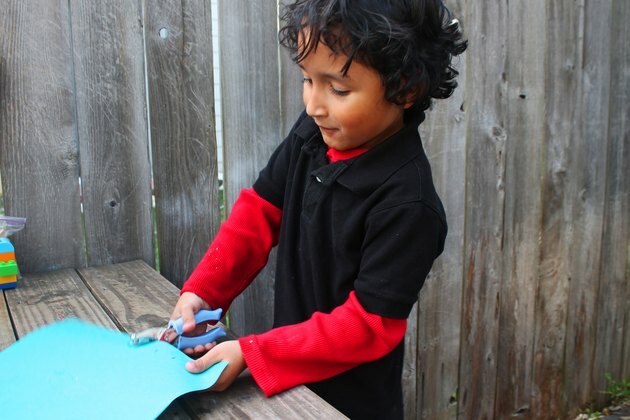 By using different weights of paper, such as newspaper, construction paper, card stock or even cardboard, cutting and hole-punch activities can help strengthen kids' hands. These exercises can be as simple as punching holes throughout a piece of paper or cutting a frayed edge on a piece of paper, to copying and following more detailed patterns with scissors or a hole punch. For these exercises, encourage one-handed use of scissors or the hole punch to maximize grip strength in the dominant hand. 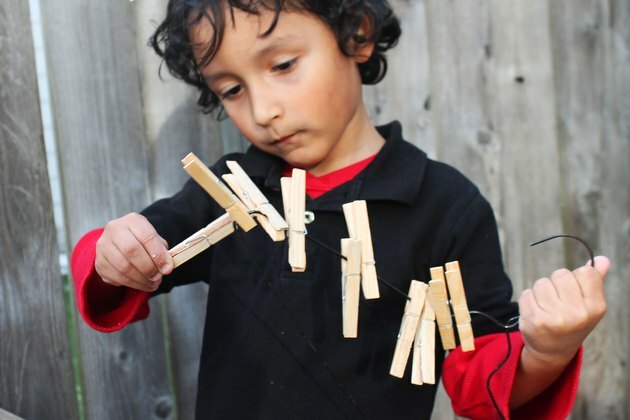 Clothespins, tongs or tweezers provide opportunity for kids to use muscles for pinch strength in their hands. 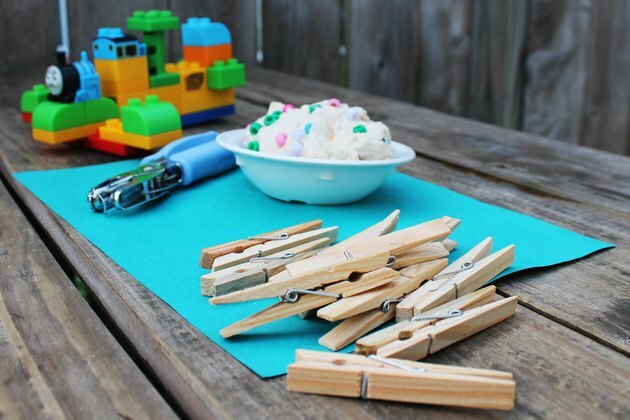 With clothespins, kids can make or copy designs by transferring the pins onto a grid board. By changing positions of the grid board -- on the floor or hung on a wall -- wrist muscles can be used in the exercises. Children can use tongs or tweezers to pick up objects and transfer them to another location; make sure a proper wrist position and pinch grasp is used to avoid pain or injury and to maximize strengthening of hand and finger muscles. Paper can be a good tool for strengthening hands. Using a flat or inclined surface, kids can place their hands palm-down on pieces of paper and then scrunch the paper into balls. 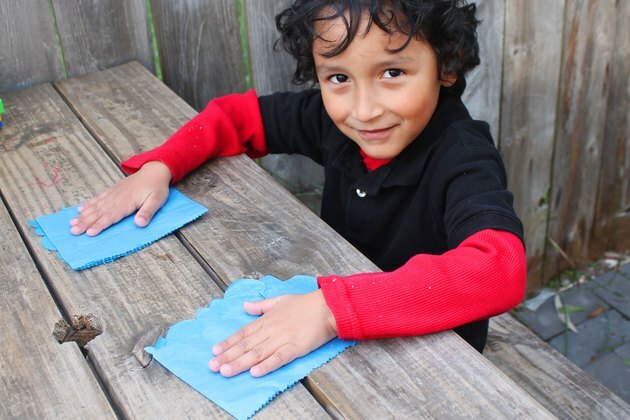 This strengthening activity can be graded by using different types of paper -- tissue paper, plain paper or construction paper -- as the child's hand gets stronger. 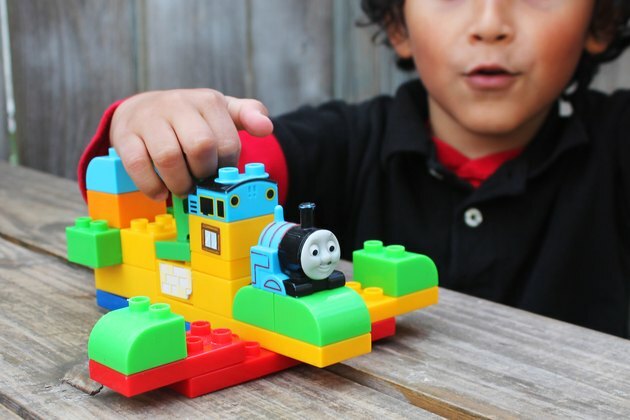 Small building toys, such as pop beads or Duplo blocks, that require the action of pulling apart and pushing pieces together, allow children to work on grip strength and pinch strength. A fun game may be to set a timer for the child to finish a diagram as fast as he can then attempt to be his time during subsequent trials.